Hello everyone, I’m back! Hope you all had a fantastic summer! This summer I took a 5 week break from writing, to refresh and renew. But Im back with some fabulous recipes, great trips planned to write about & some fabulous books to review for you all! What better way to start the new season than with a brand new book by my dear friend & brilliant author Hilary Grossman! Oh my goodness! Hilary, you have done it yet again! I could not put this one down from the word go. Being a full time mum and having kids at school, I knew exactly how Sydney felt. PTA meetings, school politics and the battle to push your child’s happiness in school are topics any parents with children in the school system can relate to, and Hilary Grossman’s fantastic talent of putting prose together has made this another wonderful read. This is a fun filled story that will make you cry, laugh and never want it to end. With a 7year old myself, I could relate to Sydney’s ups and downs. Birthday parties, school events, fellow parents and the continual need to keep going, Go on Girl will have you cheering for Sydney from page one! Published today & available on Amazon now! Every year my darling mother and I chose a city to explore! I dont like to be away from home for too long, so weekend city breaks are ideal. It takes lots of planning but a weekend away in a European city can be so much fun. 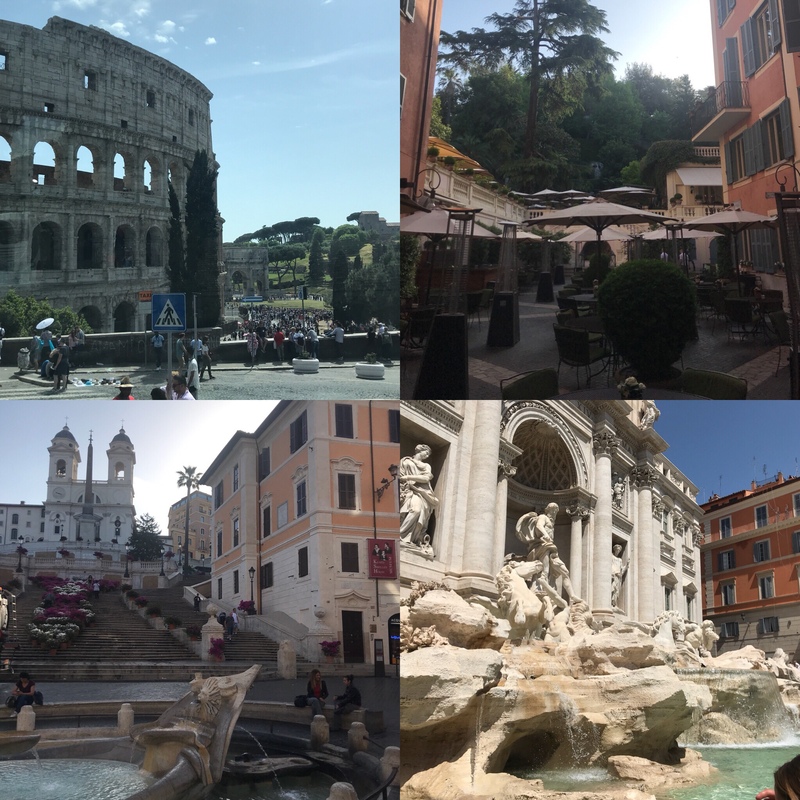 This time we chose Italy and historic Rome. My mother had been before but this was my first visit to Italy. So I was super excited as you can imagine. A very good friend of mine who has lived in Rome, and has actually written a fantastic book about her time here, recommended our hotel. Set in the beautiful, quiet, residential area of Prati, very near the Vatican, this hotel is fabulous! Set in an ancient 19th-century patrician villa, this hotel has been managed for over 45 years by the Pandolfi family that personally tends to its guests by offering the best services. Enjoy moments of true relaxation, sipping a cocktail in our inviting indoor garden, the perfect place to lay back after a day of business or sightseeing, listening to the fountain’s soft gurgling whilst sitting amongst the mature trees. The lounge bar provides the ideal ambiance to spend your free time, meeting friends, reading a magazine or organising your day in front of an 18th century fireplace. We loved staying here, it was like our little piece of heaven after a long day of site seeing. 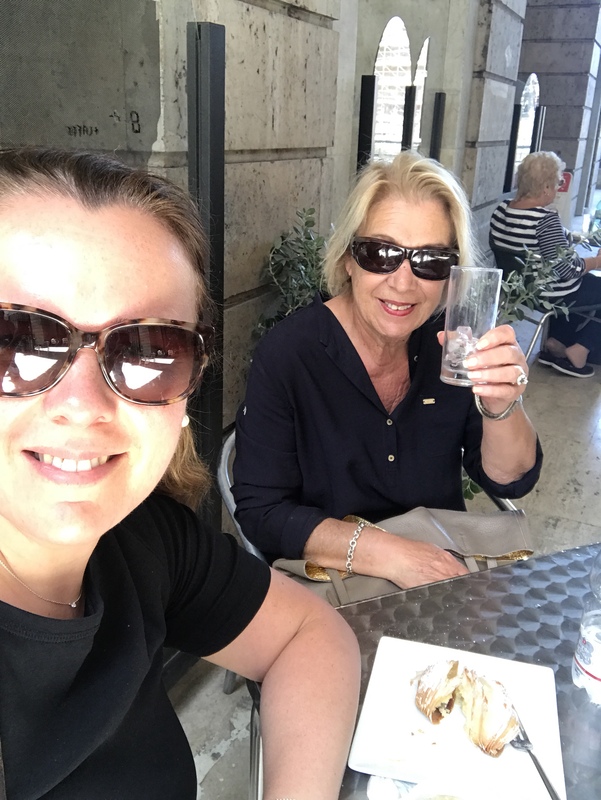 We had planned to eat at various places recommended by friends, but when you truly experience Rome, there is so much you want to see that by the end of a long day of sightseeing all you want to do is eat good food at the closest place to the hotel. So we asked our lovely Concierge to recommend a nice authentic restaurant near the hotel, and we were not disappointed. L’isola della Pizza is a popular and historic restaurant pizzeria steakhouse in the Prati district near the Vatican City. Famous for the mixed appetisers, pizza, typical Roman pasta and grilled meat. Opened in 1985 by Adele and Vito who still manage with their sons Renzo and Laura with the same passion. Founded as a small pizzeria over the years has grown to become one of the most popular restaurants in Rome. I absolutely agree, it may look a bit touristic at first glance, but the food is just fantastic! The spaghetti and the pizza were scrumptious! 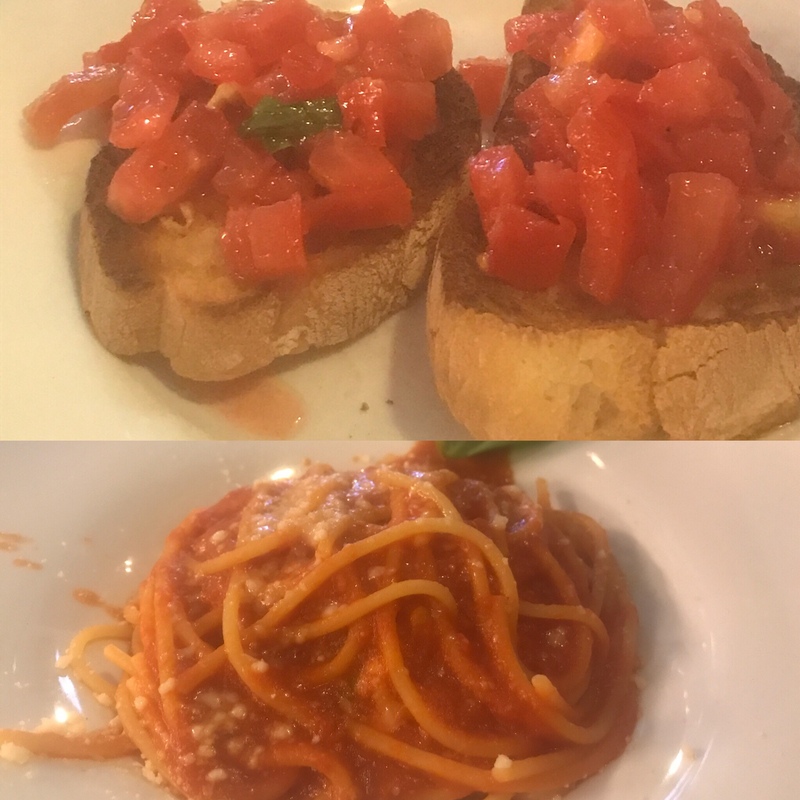 And the bruschetta topped with freshly chopped tomatoes and garlic was to die for. The very first thing my mother & I do on a trip to a new city is a ride on a Big Bus tour bus. Not only is it a great affordable way to see a new city, its also a good way to decide what you want to see up close. The Colloseum was a breathtaking site from the tour bus, and although it would have been nice to visit, with the hot weather and crowds, seeing it from the bus was more than enough for us. The Trevi Fountain – So much bigger in real life than I imagined. A definite must see, but very crowded so maybe an early morning visit would be best. The Spanish Steps – Amazing again, the flowers, the piazza, was just wonderful. But again an early visit will mean you beat the crowds. Make sure to see a wonderful museum to the right of the steps, where renowned poet John Keats lived. The Vatican – Just amazing. A country within a city, just took my breathe away. Make sure to buy your entrance tickets online, otherwise you face lines of up to 4hours long. The Sistine Chapel was just breathtaking. The Hotel Russie – The enduringly glamorous Hotel de Russie is a captivating mix of old and new, blending modern design with classical architecture. Located on Via Del Babuino, close to the Spanish Steps, the beautiful hotel has striking views over Piazza del Popolo in the center of Rome. 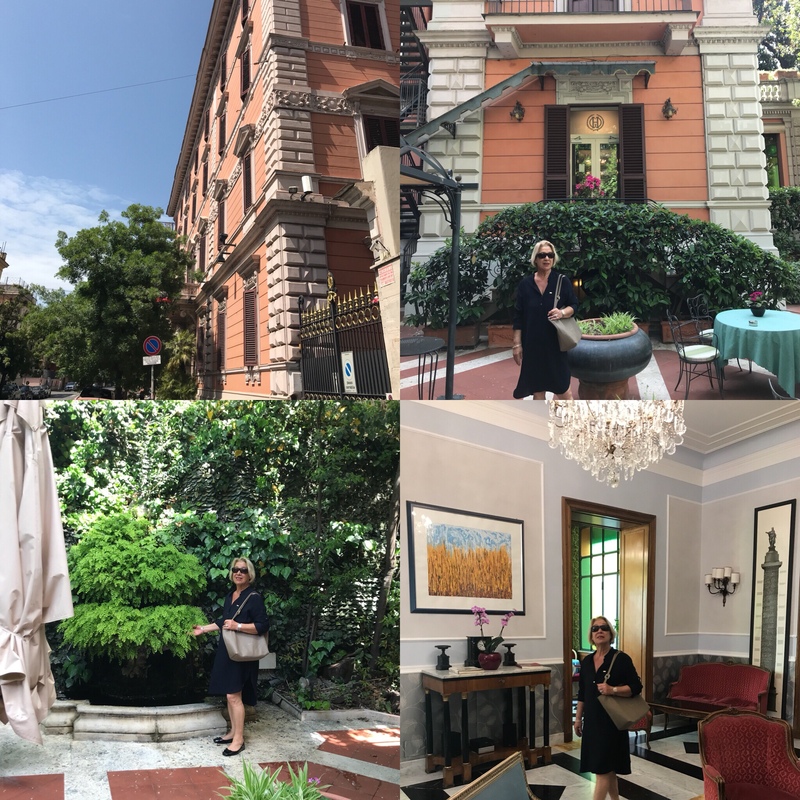 From renowned artists and writers to world travellers, Hotel de Russie is the escape of choice for our distinguished guests. My mother and I enjoyed cocktails in the beautiful gardens.